With the vast number of residential movers in Coto de Caza today, finding a reliable company isn’t always the easiest task. But it’s incredibly important! If your belongings are damaged or your move is delayed because of amateur movers, you could end up losing thousands of dollars—not to mention the wasted time and unnecessary stress. Luckily, though, these pitfalls are fairly easy to avoid with a little prep work. Here are some helpful ways to spot a dependable Coto de Caza moving company. Bonus tip: In addition to accreditations, an excellent sign of quality is official mover designation for a known organization. At Coast Valley Moving & Storage, we’re proud to be the official mover of Steinway & Sons. This step may seem obvious, but you’d be surprised how many homeowners skip it. To verify that a company delivers on its promises and treats customers with care, read reviews from several different sources. In addition to the company’s own website, check known sites like Angie’s List or the Better Business Bureau. You can also ask the company for specific references or examples of past moves similar to yours. Moving is a challenging task because your needs constantly change. 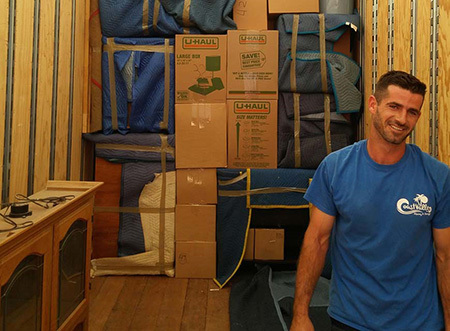 You may start out wanting only packing assistance and then end up needing your vehicle shipped, your antiques stored, and your valuables crated. And that’s okay! Whether you’re moving within Orange County or across the globe, we’re the premier full-service residential moving company you can count on. Learn more about our movers in Coto de Caza by giving us a call today, or request your free cost estimate now by submitting our quick online form!